Are you looking for a way to pass the Louisiana’s Comprehensive Adjuster License Exam? We can help! Our "Louisiana Comprehensive Adjuster License Exam-Prep Course" provides the fastest and most effective learning experience to prepare for and pass the Louisiana Comprehensive Adjuster License Exam. This licensing course is state-of-the-art; it’s designed exclusively to address the needs of both entry-level and experienced adjusters seeking licensure; and it is self-paced and provides the ultimate flexibility to accommodate whatever learning style suits you best. If you are new to the world of insurance, the course introduces you to its products and policies and to the adjusting profession. You will be exposed to both principles and practices, and be required to interact with course material in order to gauge your level of understanding as you move through the program. If you have experience in insurance and/or adjusting, the course allows YOU the flexibility to pick the subjects/lessons you need to study and in what order you wish to follow. Are you “Old School” and prefer paper? If so, we’ve got you covered there, too! In the course materials you will find, among other helpful documents, printable versions of the Louisiana Adjuster Licensing Study Manual, the Louisiana State Law Supplement, Exam Tips & Strategies with Examples , and Louisiana's PSI Exam Content Outline. Also, within each Section of the course, you can download/print the pertinent section of our Louisiana Adjuster Licensing Study Manual. This comprehensive adjuster reference manual and Louisiana law supplement gives the student more than 500 pages of relevant "adjuster-specific" content that provides a broader perspective of industry-wide insurance claims handling practices as well as the specific laws and rules of Louisiana...all of which go well beyond what’s needed to pass the state licensing examination, including a full complement of quiz questions NOT found in the online course. Finally, as an added bonus, we have captured key terms, concepts, issues, and laws in a printable format called Quick Notes (If you've ever used the popular "Cliffs Notes" in high school or college, you'll quickly recognize the format and benefit). These Quick Notes can be accessed from the Course Description page anytime you log in to the course. You can even use the 'Bookmark' feature within the PDF document to locate and/or print specific individual lessons of your choice. They’re an excellent study aid! This course comes complete with tips, strategies and unlimited practice exams to fully prepare you to successfully PASS the Louisiana Comprehensive Adjuster State Licensing Exam. Each time you take a practice exam, the course randomly selects an entirely new group of questions, in just the right amount "per subject area", just like the official Louisiana exam; and at the conclusion of each practice exam, the system provides feedback on each question and refers you to the section of PSI exam content outline from which the question was drawn, where you can find the correct answer. Study any way you want, and any time you want! The course is self-paced, so you can go as fast or slow as you wish. When you logout, the course always remembers where you were when you left off. Then, when you are confident and ready to take the Louisiana Comprehensive Adjuster Licensing Exam, go for it! You will pass! Louisiana Residents - If you are a resident of Louisiana, you MUST secure the Louisiana Comprehensive Adjuster License by taking the Louisiana Comprehensive Adjuster License Exam by PSI, for which this course will prepare you. Non-Residents of Louisiana (Read this carefully!) - If you live in a state where an adjuster’s license IS required (e.g. Texas, Mississippi, Florida, et al.) and you possess an adjuster’s license in that state, you may be exempt from the Louisiana Adjuster Licensing Exam. Contact the Louisiana Department of Insurance for more information. However! 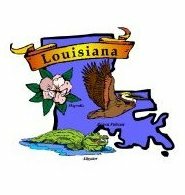 If you live in a state that does NOT license adjusters, you MUST take the Louisiana licensing exam in order to secure your non-resident Louisiana adjuster license…and there’s nowhere better to start than with our online Louisiana Comprehensive Adjuster License Exam-Prep Course! Within 24 hours of your registration for this course, AE21 Online will enroll you in the course and send you a detailed “New User Enrollment Email” with your login credentials and detailed instructions for taking the course. Upon receipt, you may begin the course immediately and will have access for 180 days (6 months).